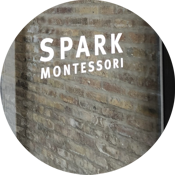 Spark Montessori was founded on the premise that families should expect more from their child’s early childhood education program. 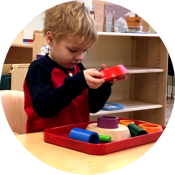 Our aim is to provide a high-fidelity, authentic Montessori program that also considers the needs of today’s family living in the city. This means longer hours that stay true to Montessori principles throughout the entire day. More time spent outdoors and immersed in nature. Opportunities to connect with local families through social events. Parent education which connects Montessori practices with modern research on child development. Transparency from administration and collaboration with teachers. Now offering private tours and parent education at our beautiful new sschool. Come visit us soon! Montessori is more relevant than ever but not all programs are created equal. Learn what makes us different. We offer programs for children ages 15 months through 6 years old. Explore our programs to see if they are right for your family. 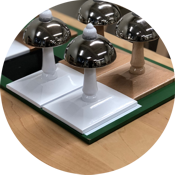 Sign up for the Spark Montessori's Newsletter to receive notifications of news and upcoming events.